Medium Project 1, Photo 4 » Roger Perron Inc. 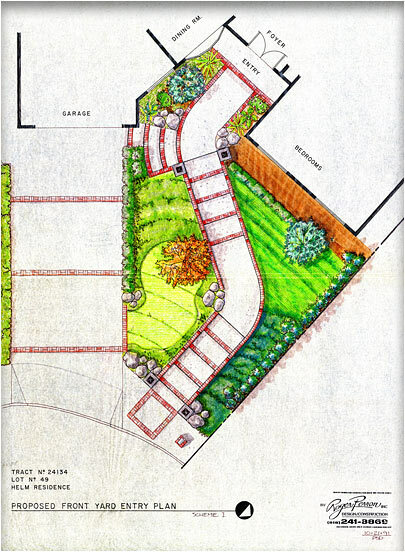 This colored design plan provided insight of the front yard site plan to the owners prior to construction. The mimic golf green was part of the theme carrying over from the neighboring La Canada golf course.